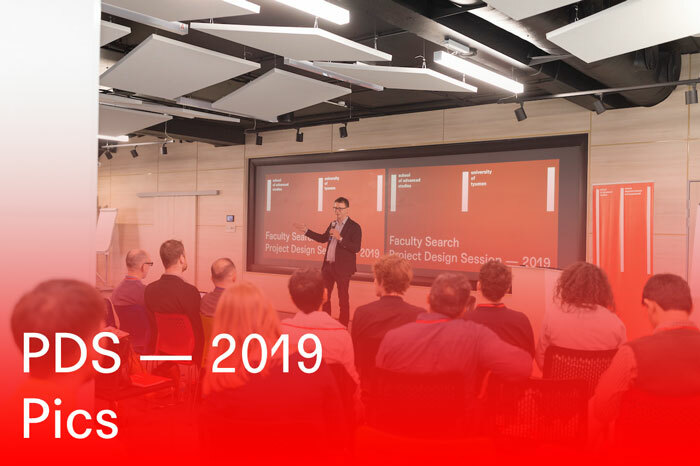 Faculty Search: Multidisciplinary Research Project Design Session. Faculty candidates from 14 countries. 7–11 March, 2019. Online broadcast. 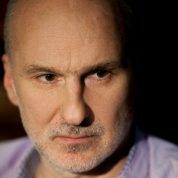 Artemy Magun is a professor of Democratic Theory, Department of Sociology and Philosophy, The European University at Saint-Petersburg. He is a political theorist and the author of «Negative Revolution» (2013) and many articles in the leading journals in political theory and philosophy. PhD degrees from the University of Michigan and the University of Strasbourg. Based on his dissertations at these institutions, Dr. Magun wrote his book Negative Revolution: On Deconstruction of the Political Subject, which was published both in Russian and French and in English in 2013. Greg Yudin earned his BA & MA degrees in Sociology at the Higher School of Economics, Moscow, and his PhD in Philosophy (2012) at the University of Manchester. He is currently a Senior Researcher in the Laboratory for Studies in Economic Sociology at the Higher School of Economics. His main areas of research are democratic theory and economic anthropology. His papers have been published in the leading international and Russian peer-reviewed journals in philosophy, sociology, and anthropology. Greg is also currently heading the first MA program in Political Philosophy in Russia at Moscow School of Social and Economic Sciences. 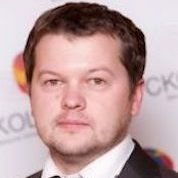 He is a regular columnist for Vedomosti newspaper and the Internet magazine Republic. He is doing his second PhD in Politics at The New School in New York. Edmund J. and Louise W. Kahn Term Professor in the Humanities, Chair, Program in Comparative Literature and Literary Theory, University of Pennsylvania. Kevin is a cultural historian and holds a Ph.D. from Stanford University. He works on the representation of history and collective memory in Russia, Russian historiography, Russian lyric poetry, and post-Soviet Russian culture. He is author of History in a Grotesque Key: Russian Literature and the Idea of Revolution (Stanford University Press, 1997; Russian translation, Academic Project, 2007) and Terror and Greatness: Ivan and Peter as Russian Myths (Cornell University Press, 2011). Currently, he is completing work on the book Culture Inside Out: Russians In Latvia and working on a project concerning Russian historiography from the 18th to the 21st centuries. Pavel Klimov has been working at the University of Michigan since 2000. He has authored 59 papers, as well as a monograph on phylogenetic systematics, coevolution, and biogeography. Dr. Klimov also teaches the Acarological Summer Course at the Ohio State University. He is particularly interested in the relationship between mites and human health, and has been a key contributor in recent genomic sequencing of the American House Dust Mite. In 2014-2017, Drs. Almir Pepato and Klimov obtained funding from the Brazilian government to investigate the biogeography of the Brazilian coast. Klimov’s notable co-authors include Edward O. Wilson, one of the founders of island biogeography. Shlomo Weber (Ph.D., Hebrew University, Jerusalem, Israel) is the president of New Economic School (Moscow, Russia), Emeritus Professor of Economics, Department of Economics, Southern Methodist University (USA), Academic Director, Center for Study of Diversity and Social Interactions, New Economic School, Moscow, Russia.Weber earned a degree of Master of Science in mathematics from the Moscow State University in 1971. Eight years later at the Hebrew University in Jerusalem, Israel, he became a Doctor of Philosophy in mathematical economics. 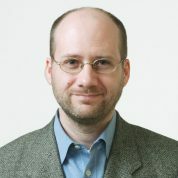 He is a professor in economics, since 1993 affiliated with the Southern Methodist University (SMU) in Dallas, Texas, U.S. and has Canadian and American citizenships.More than a hundred articles by Shlomo Weber have been published in scientific journals on economics and on political sciences. 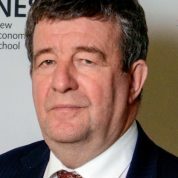 His main research interests are diversity, game theory and political economy, though also public economics and economy of the former USSR, of Eastern Europe and Central Asia have been noted. 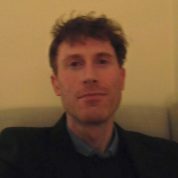 Adam Szymanski is a Postdoctoral Fellow in the department of Art History and Communication Studies at McGill University. He holds a PhD in Film and Moving Image Studies from Concordia University. His book “Cinemas of Therapeutic Activism: Re-Existentializing Depression” is forthcoming at Amsterdam University Press. Adam Szymanski’s current research is focused on the psychotherapeutic value of cinema and media. His forthcoming essay “A Critique of the Use of Film in Psychotherapy Practices” analyzes the use of films within psychiatric hospitals and psychotherapeutic settings. Szymanski’s 2017 PhD dissertation “Minor Cinemas of Melancholy and Therapy” asks how minor art cinemas from around the globe share a common concern for mental health and offer melancholic images which complicate clinical explanations of depression. The essay “The Neuroplastic Paradox” appears in Inflexions: A journal for research creation. It examines how the trope of neuroplasticity paradoxically grounds the promise of subjective recomposition in the materiality of the brain at the same time as it compels conformity to the demands of the neoliberal economy. Nocturnal Fabulations is an intercessional work of film philosophy on the cinema of Apichatpong Weerasethakul (Open Humanities Press, 2017) co-written with collaborators of the SenseLab. Alexandra Coțofană received her PhD in Sociocultural Anthropology from Indiana University Bloomington (2018). Her research explores intersections of politics, modernities and ontologies of governing. She earned a BA in Political Sciences (2009) and a MA in Sociocultural Anthropology (2011) from the National School for Political and Administrative Studies in Bucharest Romania, as well as a MA in Sociocultural Anthropology from Indiana University Bloomington (2016). Alexandra’s scholarly interests focus on the ontological turn, the study of political elites and ways of governing, as well as magic and the occult as tools for governing, and discursive techniques employed in populist imaginaries to form racial, gender, and political Others. Alexandra is also interested in visual anthropology and documentary film, having worked for the One World Romania Human Rights Film Festival since its first year, and then started the In Light human rights documentary film festival in Bloomington Indiana. Currently, Alexandra’s research, “Governing with Magic. Politics and Labors of the Occult in Romania” analyzes the involvement of Romanian politicians and state administrators before and after 1989 with magic and the occult in their governing, and traces the international political actors that help build discourses on the occult. Alexandra investigates her ethnographic material through a triconceptual lens: (1) Bruno Latour’s hybridity, (2) Michel de Certeau’s heterotopia and (3) Michel Foucault’s governmentality. Governing with Magic is based on 18 months of participant observation in Romania, where the changes of regime in the last 28 years have redefined global political and economic geographies, and have challenged previously held definitions of being European and being modern (Latour 2005). With less than ten years of EU membership under its belt, Romania is EU’s fastest growing economy in 2017 (Business Review, May 16, 2017), while being governed by politicians who have longterm engagements with labors of the occult. Furthermore, its civil society has grown tremendously in the last years (Berry 2017), critically engaging political corruption, while also accusing national and international elites of governing through the use of the occult. Starting from the experiences of politicians, practitioners of magic, and members of the Romanian civil society, Governing with Magic examines how the practices of labors of the occult serve as both empowering and disempowering tools, and what sorts of semiotic hitchhiking (Mendoza-Denton 2011) they experience in Romania before and after 1989. In analyzing the ways that politics and the labors of the occult cooperate, my research engages with the work of critical thinkers such as Michel de Certeau, Bruno Latour, Michel Foucault, Akhil Gupta, Michael Taussig, Pierre Bourdieu and Gilles Deleuze, paying particular attention to the work of scholars central to the ontological turn: Philippe Descola, Eduardo Kohn, Eduardo Viveiros de Castro, Morten Axel Pedersen, Donna Haraway, Matei Candea, Aparecida Vilaça. Anna Varfolomeeva is at the final stage of completing her PhD in Environmental Sciences and Policy at Central European University, where she also did her Master’s in Nationalism Studies. Her PhD project focuses on the articulations of indigenous identity in relation to mining in two Russian regions (Karelia and Buryatia) with the case studies of Veps and Soiot minorities. 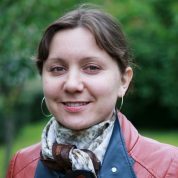 In 2013 – 2014, Anna was a visiting researcher at Uppsala Centre for Russian and Eurasian Studies working on the project on state policies towards indigenous peoples in Sweden and Russia. As a visiting PhD student, she conducted research at the Department of Anthropology, University of Aberdeen (2017) and the Department of Cross-Cultural and Regional Studies, University of Copenhagen (2018). Anna has published in Laboratorium: Russian Review of Social Research, Polar Records, and Polar Geography. She is a co-editor of the volume Multispecies Households in the Saian Mountains: Ecology at the Russia — Mongolia Border (forthcoming, Lexington Press). Anna was a recipient of Sverker Astrom Fellowship for the Furtherance of Swedish – Russian Relations (2013-2014), Arctic-FROST Fellowship (2015-2016), and Central European University Academic Achievement Award (2015, 2016). In 2019, she was awarded a research grant from the European Society for Environmental History (ESEH). Anna worked as a teaching assistant for interdisciplinary M.A. and M.Sc. courses and as a tutor in Environmental Science for Roma Graduate Preparation Program at Central European University. Anna’s primary research interests lie within environmental anthropology and environmental history, as well as indigenous studies. She is interested in the relations between humans and natural resources focusing on the history of labor, the anthropology of mining and transportation infrastructures, and the formation of mining identities. In her research, Anna aims to analyze the relations between indigenous/local residents, materials, and infrastructure in their interconnectedness, instead of opposition. Her PhD project focuses on the connections of indigenous communities with stoneworking and the influence of mining on indigenous identity. It concentrates on two case studies: Veps in Karelia (North-West of Russia) and Soiots in Buryatia (South-Central Siberia). The dissertation analyzes how community members are navigating between state-approved notions of indigeneity and local experiences of dwelling in the landscape in order to retain control over land and resource. Theoretically, Anna’s research is inspired by the works of Michel Foucault on governmentality and Tim Ingold on meshwork and entanglements. In her dissertation, she is also relying on the research of Eduardo Viveiros de Castro, Anna Tsing, Marc Augé. Anna has published on stone symbolism and indigeneity, the relations between mining development and community formation, as well as the development of indigenous policies in Karelia. Recently she submitted the article on the entanglements of road construction and resource development in Buryatia. In summer 2019, Anna will be working on the project analyzing gendered historical narratives on stoneworking in Northwestern Russia. She is also co-editing a volume on the interactions between indigenous residents and non-human sentient others in Southern Siberia and Mongolia. Anna is also interested in exploring the concept of informality in Central and Eastern Europe, primarily in relation to resource extraction (informal mining), but also concerning housing and community relations. She is currently working on a publication on informal housing in the mining settlement of Kvartsitnyi in Karelia. Bernardo is a PhD candidate in Economics from the University of Nottingham (Nottingham, United Kingdom), where he also did his Masters’ degree in Economics. His PhD thesis explores empirically different factors that impact student achievement, using data from Chile about students in primary and secondary education. The main chapter of the thesis is centred around peer effects: their estimation taking into account the different sources of bias, the nonlinearities of the effects (not all the students are equally affected by their peers), and policy recommendations.He has teaching experience in modules of introductory and intermediate Microeconomics, Macroeconomics, Industrial Organisation and Econometrics, either as Teaching Assistant, Lecturer (Federico Santa Maria Technical University and University of Talca, Chile) or Graduate Teaching Assistant (University of Nottingham, United Kingdom). Bernardo’s research interests are in the field of economics of education. In particular, it focuses on understanding different factors that affect academic achievement of students which are relevant for policy makers, such as peer effects and school year length. His motivation to study these topics and others in the field of economics of education is to find policies that may improve average achievement and reduce inequality in education which do not require additional resources, therefore improving efficiency. His job market paper, about peer effects, follows the methodology of Imberman, Kugler and Sacerdote (2012) to identify them using a natural experiment as an exogenous source of variation in the peer composition, instrumental variables and school fixed effects to deal with the main sources of bias that usually affect the correct estimation of these effects. The second part of the study, inspired by Carrell, Carrell, Sacerdote and West (2013), proposes a within school allocation of students that is potentially better than random to improve average performance and reduces inequality of achievement. Working in a multidisciplinary environment is a great alternative to improve Bernardo’s future research. One possible direction of his future research agenda is to investigate the importance of the length of the peer connection, extending the work by Patacchini, Rainone and Zenou 2017. So far, most of the research in peer effects does not consider this. 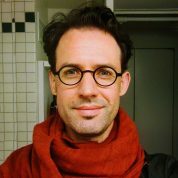 Christian Etzrodt (Ph.D. in economics, University of Cologne, 2000; Ph.D. in sociology, Ritsumeikan University, 2006) is in the moment professor of sociology at the International College of Liberal Arts, Yamanashi Gakuin University, Japan. He taught previously sociology and economics at Akita International University, Japan. He has published 2 books, 5 chapters in books, 19 articles in journals – several in prestigious international journals (Kölner Zeitschrift für Soziologie und Sozialpsychologie, Zeitschrift für Soziologie, and Human Studies) – and one conference paper. Other social scientists are regularly citing his books and articles. His books are: Menschliches Verhalten: Eine Synthese aus mikroökonomischen und mikrosoziologischen Theorien (Human Behaviour: A Synthesis of Microeconomic and Microsociological Theories, University Press Konstanz, 2001) and the textbook Sozialwissenschaftliche Handlungstheorien: Eine Einführung (Action Theories in the Social Sciences: An Introduction, UTB, 2003). The textbook is widely used in German universities and was cited so far 125 times. His published articles have been on sociological and economic theory, philosophy of science, sociology of globalization, sociology of education, the banking crisis of 2008, and Japanese culture. He has taught in the last 12 years a wide range of courses (altogether over 70 courses so far) in Sociology, Economics and Political Science. He has extensive administrative experiences (including curriculum development, recruiting students and faculty, admission, credit transfer, and advising). He was the Founding Associate Dean of the International College of Liberal Arts. My research project has the aim to explain the genesis of globalization. As a phenomenological and Weberian sociologist, I try to explain social change as a result of decisions of key actors and their motives. However, since interest groups have a very strong influence on political decision processes in Western democracies, I am more interested in the motives of the leading figures of powerful interest groups rather than the motives of the elected heads of governments. My focus is especially on the role of a network of think tanks associated with the Council on Foreign Relations (Royal Institute of International Affairs, The Bilderberg Group, and Trilateral Commission) in designing the cooperative post-war architecture of the West that would become the backbone of globalization, as we know it today. In the past years the available scientific literature for this kind of study has increased significantly. In addition more and more original documents as well as interviews with Bilderbergers are now accessible, which allow a scientific analysis of those think tanks on globalization. The leaked Bilderberg reports are written by experts in their field, and therefore require experts of different fields to analyze them. This research would significantly benefit from a Historian of the post-war period, a Political Scientist with a specialization in US-European or US-Russian relations, a Sociologist with a specialization in Sociology of Elites, and a general Economist with good knowledge of Economic Development. 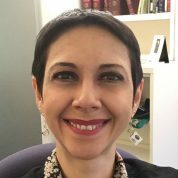 Corinne Doria is currently a Research Fellow at the Italian Academy for Advanced Studies at Columbia University, and an Associate Lecturer at Paris 1-Panthéon Sorbonne University and at Sciences-Po Paris. She received her MA degree in Literature and Philosophy at the University of Milan in 2007 and a doctoral degree in Modern History at Paris 1-Panthéon-Sorbonne University and the University of Milan (1st grade honours) in 2012. In 2013-14 she was a Post-doctoral Fellow at Paris-4 University and co-director of the joint project Écrire Une Histoire Nouvelle de l’Europe (Writing A New History of Europe), with the Universities of Paris 1, Paris 4, and Nantes. Since 2014 she is being teaching Modern History at the Department of Administration, Labour and Social Studies at Paris 1 University and Disability Studies at Sciences-Po Paris since 2017. Her book Un Philosophe Entre Deux Révolutions. Pierre-Paul –Royer-Collard (1763-1845)(Rennes: PUR, 2018) was awarded by the André-Germaine Lequeux Prize by the Académie Française. Corinne Doria’s doctoral research focused on 19th century French liberalism. Her dissertation was a critical study of the political and philosophical ideas of Pierre Paul Royer-Collard (1763-1845), deputy of the department of the Marne during the French Restoration. By highlighting a previously neglected ethical dimension of his politics and his open-mindedness towards democracy, her work offered a new interpretation of one of the key figures of early French liberalism. She broadened these inquiries during her post-doctoral fellowship at Paris 4 University, when she studied the sociology of scientific elites and the circulation of knowledge in the European space between the 18th and 20th centuries. Her work contributed to the interdisciplinary, multi-university project Ecrire une Histoire Nouvelle de l’Europe (Writing a New History of Europe), which investigated the constitutional characteristics of the European public sphere in the modern age. This research resulted in the volume Questioning the European Public Sphere (2016), which brought together contributions from scholars in a broad range of disciplines (history, philosophy, sociology, law, anthropology). In 2016, Dr. Doria began a new research project on the social history of medicine and disability. Her current work focuses on visual impairment from the 19th through the 21st centuries, a topic she investigates through an interdisciplinary approach that brings into conversation methodological approaches from the history and philosophy of medicine, the history of technologies, visual studies, and disability studies. She has published several peer-reviewed studies on the medicalization of eyesight, myopia amongst schoolchildren, military ophthalmology, and visually-impaired veterans. The core question of her research is how the study, use, perception and representation of eyesight (and its troubles) changed with the advent of ocular-centric societies in the middle of the 19th century. She is currently working on a case study that promises to be a broad critical reflection on disability studies as a research field that is currently characterized by a disciplinary fragmentation. With a stronger core identity, disability studies will be able to provide a clearer understanding of disability in a changing world. Cormac Mc Namara is a sociologist, who is interested in how people interact with one another and create and maintain shared understandings of the world, and worlds, that they, and others, inhabit. 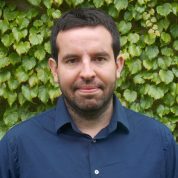 In 2017, he received his PhD from Trinity College Dublin, the University of Dublin, where he was a funded researcher, and teaching assistant to Professors Richard Layte and Daniel Faas in the department of sociology. He received his MSocSc (sociology) from University College Dublin, and his Bachelor’s degree (majoring in English literature and sociology) from National University of Ireland, Maynooth. After receiving his PhD he continued to work as a teaching assistant to Professor Layte in the department of sociology at Trinity College Dublin, while presenting his research at international conferences, and preparing articles and a book for publication. The general purpose of his research is to arrive, through close examination, at better understandings of how people perceive the world around them, and why they do so in the ways that they do. He has had an article published in Symbolic Interaction. Cormac is interested in human interaction in the broadest sense, that is, face to face interaction, mediated interaction, and mediated quasi-interaction. He has a particular penchant for urban ethnography, a research method he used when researching betting shops for his doctoral studies. His doctoral research focused on the actions and interactions of the customers and staff members, and in particular how the customers explain their betting successes and failures. For this research project he also examined representations of the first legal betting shops in Ireland as found in two of the principal newspapers of the time, the 1920s, as well as examining how gambling and (precarious) work might be related in contemporary society. His approach to doing sociology is influenced by the symbolic interactionist tradition, most especially the dramaturgical and labelling branches of the tradition, as well as processual sociology. Intellectual influences on his sociology include Erving Goffman, Norbert Elias, Emile Durkheim, Georg Simmel, Thomas Scheff, and Randall Collins. He is currently writing an article that provides a timely development of ideas contained within one of Georg Simmel’s lesser known articles. His primary research interest at this time is the sociology of blame – specifically, how blame is attributed, and the universality of blame in all its shapes and guises – whether relating to the rationalization of gambling losses, interpersonal relations, community conflict, the loss of employment, or even a global financial crisis. Dr. Emily Jane O'Dell is a Research Scholar in Law and Islamic Law and Civilization Research Fellow in the Abdallah S. Kamel Center for the Study of Islamic Law and Civilization at Yale Law School, and an editor of SHARIAsource at Harvard Law School, after having spent over half a decade teaching in the Middle East at the American University of Beirut as the Whittlesey Chair of History and Archaeology and at Sultan Qaboos University in the Sultanate of Oman. She has also taught at Columbia University, Brown University, and Harvard University, where she received an award for teaching excellence. She received her BA, MFA, MA and PhD from Brown and a Masters in Russian, Eastern European, and Central Asian Studies from Columbia. She completed her Postdoctoral Fellowship at Harvard in the Humanities Center and Department of Near Eastern Languages and Civilizations under postcolonial theorist Professor Homi Bhabha. She was the Chief Epigrapher at the Great Pyramids of Giza for a Cairo University and Brown University excavation, and more recently excavated a Meroitic temple in Sudan, unearthed Islamic archaeology in Turkmenistan, and preserved Sufi shrines on the Silk Road. Her writing has appeared in The New York Times, NPR, Salon, Christian Science Monitor, Al Jazeera, and Huffington Post, and she is a global mentor for the Coalition for Women in Journalism. Emily regularly performs the Javanese gamelan in concert at Lincoln Center, Asia Society, and in Java. She is also a produced playwright and has worked in television and film. At Yale, Emily is preparing a monograph on post-Soviet Islamic jurisprudence in Central Asia which explores how Islamic law has been employed in the wake of communism to demarcate the parameters of the national project and shape religious/cultural/ethnic identities. She has similarly published on Sufism and politics in post-Soviet Central Asia and the necropolitics of Sufi shrine destruction in Mali. Her research on global cinema analyzes the influence of Russians on the history of filmmaking in Iran, representations of disability and spirituality in Iranian film, and Sufism in global cinema. Her research on Malcolm X's time in Sudan and Beirut traces the influence of Sudanese students and religious leaders on his evolution. Her upcoming publications include “Memories of Sexual Slavery in Zanzibar Rendered in Literature, Testimonials, and Film,” which she presented at the Slavery and Sexual Labor in the Middle East and North Africa Conference at the University of California Santa Barbara, and “Disability in Arab Cinema,” which she presented at the Euro-Mediterranean Conference on Disability Studies at the University of Malta. She is currently publishing her research on geographies of the Caspian in Turkmen poetry, which she is presenting this spring at the Caspian in the History of Early Modern and Modern Eurasia Conference at Yale, as well as on Rimbaud’s colonial performance of disablement in Yemen and Ethiopia, which she presented at Sultan Qaboos University in Oman. Her forthcoming book for Brill, The Contendings of Horus & Seth: Translation, Literary Analysis, & Commentary, is a translation of the longest narrative papyrus ever found in ancient Egypt. This summer she will continue her field-research on post-Soviet religious economies in Mongolia. Emily conducts research at the advanced level in Russian, Mongolian, Arabic, Persian/Tajik, Czech, Indonesian, French, German, Italian, Old Egyptian, Middle Egyptian, Late Egyptian, Coptic, Demotic, Ge’ez and Akkadian. Gary Yeritsian is a sociologist whose research interests include media, culture, and social theory. He is currently a Ph.D. candidate in Sociology at UCLA. Gary’s dissertation explores the contested dynamics of participation ‘from above and below’ among cultural audiences. At UCLA, this research has been supported by the Mangasar M. Mangasarian Fellowship and Dorothy L. Meier Dissertation Fellowship, among other prizes. He has taught undergraduate courses on classical and contemporary social theory, urban and economic sociology, self and society, and Marxism and critical theory. He received a Bachelor’s degree in History from the University of Southern California. Outside of academia, Gary’s interests include film, classical music, and ‘true crime’ docuseries. Gary’s dissertation, titled Participation From Above and Below: The Contradictions of Audience Participation, From Video Games to Social Media, encompasses a number of case studies which deal with the activity of ‘users’ and audiences. It charts the contestation between participation from above, as managed by cultural producers, and participation from below, as an expression of potentially autonomous audiences. One chapter, published in Critical Sociology as ‘Capitalism 2.0’: Web 2.0 Manifestoes and the New Spirit of Capitalism, explores social media as a novel instantiation of the ‘new spirit of capitalism,’ reliant on the participatory ‘digital labor’ of users. It draws upon an empirical analysis of managerial texts to theorize the ideology and practice of contemporary social media platforms. Another, published in Journal of Consumer Culture as Participation From Above and Below: Brand Community and the Contestation of Cultural Participation, explores the case of professional wrestling fan culture, arguing that wrestling is a fundamentally participatory cultural form in which a) producers mobilize and activate audiences from above and b) audiences have the capacity to participate in unruly and unsanctioned ways from below. Theoretically, it shows that brands seeking to engage consumers, users, and audiences can be caught off guard by their autonomous potentialities. A blog entry about the article can be found here. Gary is also working on a study that utilizes in-depth interviews and newspaper archives to understand the sociocultural impact of 1970s U.S. home video games, an early instance of participatory media. Additionally, he has published on the relationship between Nietzschean thought and the artistic and social critiques of capitalism. 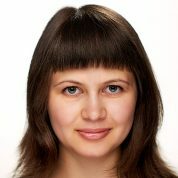 Irina Antoshchuk is currently a PhD candidate in Cultural Sociology at the Amsterdam Institute for Social Science Research at the University of Amsterdam, studying diaspora knowledge networks of Russian computer scientists in the UK. Before joining UvA she completed PhD programme in Sociology at European University at St Petersburg. She got a specialist diploma in Social Work and then her Master’s degree from Saint-Petersburg State University, graduating from multidisciplinary programme “Studies in European Societies”. Irina has a diverse research experience: she explored various topics, ranging from protest activities of factory workers in Russia to serious leisure of young people in big European cities, implemented different methodologies and conducting investigations across various national contexts (Russia, UK, Germany). Having started her career as an industrial sociologist at “Veda-Pak” plant, Irina continued as a junior researcher at Sociological Institute of the Russian Academy of Sciences and worked as a research assistant in STS Center, European University at Saint Petersburg, being involved in mega-grant project “Russian computer scientists at home and abroad”. Recently she finished RFBR grant project on migration of young scholars from Russia, working in Russian Presidential Academy of National Economy and Public Administration. 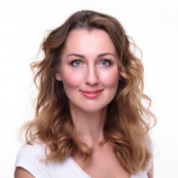 Irina’s professional experience also includes fundraising, when Irina was a member of sponsor relations team at British charity organization “EveryChild”, and marketing, when Irina worked as a manager in international education organization “INTO University Partnerships”. Irina’s doctoral project focuses on Russian-speaking computer scientists (RCS) who migrated from Post-Soviet states after 1991 and live(d) in the United Kingdom, holding teaching and research positions. Exploring their diaspora knowledge networks (DKN), Irina aims at deepening knowledge on the effects and consequences of academic mobility for scientific communities. RCS mobilize diasporic ties to overcome high entry barriers and difficulties of adjustment in the UK. As a result, DKN are formed, functioning as ethnic networks, reducing the costs and risks of cross-border movement, and collaboration networks, impacting knowledge generation activities. Irina’s project embodies several of her research interests. First, she is interested in the intersection between diasporic and professional (Saxenian 1999, Xiang 2007). Viewing diasporic identity as a “category of practice” (Brubaker 2005) and “effect of (inter)actions” (Byford 2009), Irina explores how cultural and professional identities are co-produced in RCS scientific collaborations. Second, Irina is interested in gender inequality in academia and technical disciplines. She questions whether diasporic affinity mitigates gender disparities in computer science as a discipline where masculine culture dominates (Ensmenger 2012). Building on concepts of “male homosocial desire” (Fisher, Kinsey 2014) and “mobilizing masculinities” (Van den Brink, Benschop 2014), Irina identifies gendered patterns of cooperation enabling and sustaining male bonding while driving women out or channelling them into subordinate positions. Third, Irina is concerned with diasporic affinity as a form of social proximity facilitating knowledge networks creation. She examines how cultural belonging encourages “cooperative labor of human brains” (Moulier-Boutang 2011: 57) and knowledge production, becoming a valuable resource in networked information economy (Benkler 2006). Irina is also interested in spatiality of migrant and scientific networks, technological mediation of migration and mobility, (re)making and (re)imagining of spaces through mobility. Jacob Lassin is a PhD Candidate in the Department of Slavic Languages and Literatures at Yale University. At Yale he has taught courses in literature and Russian language. 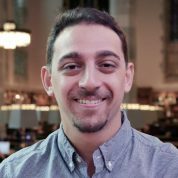 From 2015-2016, Jacob was a participant in the Mellon Graduate Concentration in the Digital Humanities. Prior to beginning his graduate work, Jacob was a Boren Scholar in Ufa, Bashkortostan, Russia where he studied at Bashkir State Pedagogical University and also worked at a local television station. Jacob earned his B.A. in Government and Russian and Post-Soviet Studies from The College of William & Mary in 2013. Jacob is interested in studying technologies of truth and power. His research takes up a number of pressing questions. How do beliefs develop and spread in the contemporary moment? In what ways do different media interact and affect the reception and dissemination of ideas? How does local cultural context intersect with the global reach of digital technologies? Jacob’s doctoral dissertation, “Sacred Sites: The Russian Orthodox Church and the Literary Canon Online,” analyzes and contextualizes websites run by the Russian Orthodox Church and associated groups. He contends that discussions of classical Russian literature are central to these online projects, which aim to produce and bring together an educated, religious and patriotic middle class. Based on careful analysis of online material and many hours of interviews with editors, writers, and readers, Jacob argues that Russian Orthodox online discourse on literature, reading, and national identity is part of an effort to create an imagined community of Russian readers in the twenty-first century. He investigates online discussions of the classics of Russian literature to identify echoes of imperial nostalgia as well as the recuperation of Soviet-era literature in contemporary imaginaries of the Church, state, and civil society. Jacob’s work demonstrates that “canon wars,” conflicts over cultural politics that were prominent in the West in the 1980s and 1990s, continue to this day as part of a global process. He is also interested in the ways that discourses of traditional values circulate around the globe and in how digital media facilitate that circulation. 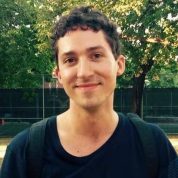 In addition to his dissertation work, Jacob has written about other ways that the Internet has been used to promote identity formation in post-Soviet spaces. His article in Digital Icons explores the online community OurBaku.com, a virtual recreation designed by former residents of the city of Baku. Joel Parthemore is a philosopher of mind and cognitive science who trained originally as a journalist before taking a master's in cognitive science and a doctorate in philosophy of cognitive science. The connecting thread is his interest in the way language shapes thought, thought shapes language, and both shape our understanding and encounter with the world around us. He sees the role of the philosopher as one of asking questions more than providing answers, and of keeping empirical researchers honest with how they interpret their results ("yes, the results could mean that, but have you looked at them this other way?"). Since receiving his doctorate, he has worked as a postdoc in a department of linguistics (Lund) and a department of engineering (Eindhoven), a senior lecturer in communications in a department of applied IT (Gothenburg), and a lecturer in philosophy in a department of cognitive neuroscience (Skövde). Raised in Pennsylvania in the US, he has lived on three continents to date: he was a US Peace Corps volunteer in Ghana for four years, teaching high school mathematics and IT literacy; and he both worked and studied in the UK for many years before settling in Sweden. When he is not researching conceptual or moral agency, he bicycles and backpacks long distance. This past summer he rode his bicycle from Vancouver, British Columbia, to Newark, Maryland: 6600 kilometers. He has walked the full length of the US Appalachian Trail (3500 kilometers) and the International Appalachian Trail (1200 kilometers). Joel Parthemore is interested in what he sees as the close link between consciousness and conceptual agency (the capacity for systematically and productively structured thought, per Gareth Evans), which he views as two sides of a single coin: one never appropriately attributes the one without the other. At the same time per Peter Gärdenfors, he wishes to mark a clear distinction between concepts and language, whereby complexly structured communication extends and transforms conceptual abilities but not does make them possible in the first place. He is particularly interested in linking fully reflective self-consciousness – as a higher order of consciousness – with the capacity for high-order concepts (concepts of concepts). He sees both of these, in turn, as linked to the capacity for mental time travel. He is interested in arguments from Extended Mind Hypothesis and enactivism which see the largely Western notion of strictly isolated individual minds/consciousnesses being in error. Rather, every person is substantively shaped by the persons around them while substantively shaping those persons in return: there is no clear, fixed line where one individual stops cognitively and the next begins – or where the individual stops and society begins. Such an approach to minds and mental boundaries has significant consequences for how one thinks about communication – two persons are able to discuss a subject not just because they share similar conceptual frameworks but because their minds, in some important way, overlap – as well as for how one thinks about empathy. He is interested in a modified libertarian account of free will where the universe approximates to, without ever achieving, strict determinism and where the heart of free will lies in the capacity to choose between different perspectives on one and the same set of circumstances. He is interested in mind mapping as a way of empirically testing theories of concepts. ulie Reshe is a philosopher, blogger and a practising negative psychoanalyst of Ukrainian Gypsy origin. She received her Ph.D. in Philosophy and Psychoanalysis from the The Research Centre of the Slovenian Academy of Sciences and Arts, where she studied under the supervision of Alenka Zupančič, who was herself supervised by the philosophers Alain Badiou and Slavoj Žižek. She holds B.A and M.A. degrees in Philosophy from the Taras Shevchenko National University of Kyiv, she also studied cultural theory and political science at National University of Kiev-Mohyla Academy and psychology at the University of Oxford. She publishes widely in English-, Russian- and Ukrainian-language academic journals as well as in mainstream and marginal print and online media and has her own blogs (Rus, Eng). Her recent book Introduction to Philosophy: The Plasticity of Everyday Life was a nominated for the Alexander Piatigorsky Award. She holds the position of the Director of the Institute of Psychoanalysis of the Global Center for Advanced Studies (New York, USA). Destructive plasticity, term widely discussed by Catherine Malabou, which Reshe is expanding (both in fields of psychoanalysis and neuroscience) in order to conceptualize it as the basic type of plasticity, therefore, as not the opposite of healthy developmental plasticity usually associated with the plasticity of a child’s brain. Such universalization implies the weakening of stigma related to destructive psychological phenomena such as psychological trauma, depression, anxiety and stress that are constitutive and inevitable in the course of “normal” development of both personal autonomy and social solidarity. Reshe writes widely in the fields of social emotions and sexuality. She critically reanalyzes Freudian pansexualism relying on current research in affective and social cognitive neuroscience. Additionally, she investigates the grounding ambivalence of violence/care, conformity/dominance, love/hate. Reshe is interested in experimental forms of non-hierarchical communities (in particular digital nomad communities). She is critically analyzing the apparatus of psychological counselling (including the practices of psychoanalysis) as aiming at “curing” the individual so that s/he can continue to function as part of the present order, instead of supporting formation of revolutionary subject and revolutionary commune. She is also exploring the potential role of philosophy and psychoanalytic practise(seen as a community practice) in the rise of the multitude. Juliette has a life-long interest in environmental issues. This led her to first study Biochemistry at McGill University in Montreal. Meanwhile she discovered Genomics, and pursed a doctorate in that field, which she completed in 2006 at Duke University in Durham, USA. This experience made her curious about the social and historical underpinnings of the scientific process, and brought her back to her initial interest in environmental issues, but this time from a social perspective. After spending some time working as a helper on organic farms and studying Philosophy, she turned to Environmental Sociology, and completed an MSc in Environment at McGill University in 2016. See here for more information, and here for a list of publications. Juliette's overarching interest concerns developing lifestyles that contribute to making human beings happier and healthier and that are more sustainable in the long term. The four pieces of this puzzle that have been of most interest to her until now are individual behavior and psychology (including personality psychology), the social realm (place attachment, social capital, collaboration, culture), how human-made spaces affect these and vice-versa, and the interactions between the higher-level components of society (non-linearity, spread of knowledge, role of science, directionality of the overall system). Her Master's research project was a case-study of the socio-environmental impacts of a public urban orchard. In general, she believes that we need to be more attentive to the three-dimensional structural organization of things and to learn to think more in terms of Complex Systems. She is interested in theoretical and empirical approaches, qualitative and quantitative methods.Juliette recently joined the Citizenship under Conflict team. Potential research avenues include whether the scale of the place to which people feel an attachment (or, of which they feel citizens) influences their level of environmental awareness and behavior. Kellan Anfinson received his PhD in political theory from Johns Hopkins University. He has taught at the University of Mannheim, Johns Hopkins University, Sciences Po, and the University of South Florida. He works on political theory, ecology, and political economy, and has published his research in Telos and Environmental Politics. Kellan’s research focuses on the dilemmas and possibilities for political action by analyzing the connections and tensions between factors feeding into individual constitution, social formations, and natural processes. He is currently completing a project entitled The Ethos of the Event: Experimental Ethics under a Changing Climate. This book examines “the event” and its role in political life, with a focus on developing an ethos that could better attune us to an eventful world, which is today urgently marked by climate change. Such an ethos supplements scientific and policy visions of climate change by attending to the diffuse, complex, and momentous character of this event. The importance of this ethos is underscored by the complex milieu of media, consumption habits, scientific information, cultural norms, and personal desires through which citizens relate to climate change. To compose this ethos, he draws on Kierkegaard, Nietzsche, Schmitt, and Foucault, who address different events ranging from the birth of Christ to the death of God and the rise of a fascist leader. This ethos connects us to a world of surprising and tragic events and enables the existential changes necessary to engage climate change. After completing masters in biochemistry and pre-doctoral training in university of Delhi, New Delhi, Krishna pursued his doctoral degree in university of Jena, Germany (incidentally, the university that awarded PhD to Karl Marx and Hegel as teacher). Krishna studied the architecture of brain region which is involved in brain’s higher cognitive functions like social behaviors named cerebral cortex. Krishna moved to university of Geneva, Switzerland to study neural basis of ‘do you see what I see’ where he studied the neural underpinnings of visual information processing. Studying visual signalling and processing is important to understand bias, prejudice, stereotyping, conflicts etc. Now, Krishna as senior research fellow in the National university of Singapore studies ‘social memory’ in a specific area of hippocampus called CA2 region. Krishna has always been interested in contemporary social and political development due to his ethnic identity and native Tamils geopolitical location. In pursuit of understanding exploitation, prejudice, stereotyping, ingroup-outgroup conflicts, wars, genocide made him to study master’s in political science and human psychology in the meanwhile. Krishna’s work on the anatomy of cerebral cortex (Cereb cortex, 19(2):388-401), visual information processing (Nature Commun, doi: 2017;8:2015), neural signals for craving (Science, doi: 10.1126/science.aar4983), memory disorders (J Alzheimer’s Dis, 51(3):783-791) and social memory (PNAS, 114; 41-49) have been published in top international peer reviewed scientific journals. Man is a unique social species. He generates emergent social structures ranging from groups, cultures to countries. These social structures are intricately evolved from the neural cues. Consequent social behaviors protect these social structures to survive and reproduce. Krishna is passionate about understanding how various social informations, identities, behaviours of human are learnt, stored and retrieved. He is studying an important area of the brain called hippocampus- ‘seat of memory' and ‘social memory’. CA2 region of hippocampus forms social memory, a sort of social ID tag to identify/discriminate others in group, race, religion, culture. We engage in both learned and innate social interactions that foster cooperation, and drive competition for mates, food. In this context he wants to study neural basis of prosocial behavior, aggression, social dominance, social defeat, learnt helplessness, subaltern consciousness. In addition, he is interested in extrapolating the findings of neural basis of such behaviours from an individual to society and interpolate the contemporary political developments to individual’s behavior. Krishna sees neural blueprint of Gramscian hegemony at organism level. He hypothesises that social dominance practiced in various cultures epigenetically fortifies the ‘neural substrates’ for such behaviors leading to social conditioning. People in those hegemonic societies are cognitively conditioned. State apparatus, media, religion and economic institutions are used as tools to fortify this mental framework in such hegemons. Russian Nobel laureate Ivan Pavlov’s ‘Pavlovian classical conditioning’ is used to explain social conditioning by Edward Bernay’s ‘Propaganda' and Chomsky’s ‘Manufacturing consent’. But this hypothesis needs an extensive empirical research involving multidisciplinary specialists such as historians, political scientists, economists, media experts, anthropologists and other disciplines of humanities to conclude and set a global debate on the challenges that the future faces. After obtaining his B.Sc. and M.Sc. 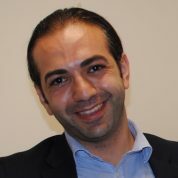 in Plant Protection and Agricultural Entomology Majid moved to Sweden to complete his Ph.D. His interest in vectors of medical and veterinary importance led him to focus his studies on the chemical ecology and sensory (olfactory) physiology of mosquitoes under Professor Bill Hansson’s supervision. While there, he taught insect chemical ecology and sensory physiology. Majid then joined Max Planck Institute for Chemical Ecology (Germany) as a postdoctoral researcher where he conducted and completed projects on the chemical ecology of insect-plant and mosquito-human interactions. While there, he also mentored a number of undergraduate and graduate students and on multiple occasions lectured on insect chemical ecology. After that, Majid served as an assistant professor and faculty member at the GUASNR. There, he led a research team to investigate the olfactory responses of a key pest of rice fields, the striped rice stem borer, to different varieties of rice plants. There he taught entomology and pest management, insect physiology, insect morphology, and methods of research, gave lectures on olfaction (sense of smell) in insects, for B.Sc. and M.Sc. students. Currently, as an assistant research professor (non-tenure) at ASU, Majid is investigating sensory physiology and behavior using social insects (ants, honey bees, and bumble bees) and fruit flies as model systems. In addition, he teaches introductory, general, and advanced biology. As neurobiologist and chemical ecologist Majid is interested in knowing the vital role olfaction and olfactory cues play in maintaining the integrity of social organisms, from humans to insects. The simplicity of the olfactory system in insects allowed him to work extensively on insect-plant, insect-human, and insect-insect interactions. For his PhD project he investigated the sensory physiology and chemical ecology of disease-carrying mosquitoes, Anopheles gambiae species complex and Aedes aegypti, and mechanisms involved in locating their hosts, mates, and oviposition sites. Furthermore, isolation and identification of the biologically active novel compounds to which mosquitoes are attracted was another topic that he examined. During his postdoc career at Max Planck Institute for Chemical Ecology he worked to unravel the insect-plant interactions of the Manduca sexta (moth) and Apis mellifera (honeybee) model systems, as well as those of Chilo suppressalis, a key pest of rice plants. At ASU, Majid worked extensively on unraveling insect-insect interactions using termites and ants as model systems. He is currently working on cracking the olfactory coding of bees and fruit flies using natural odor stimuli. Majid plans on employing molecular, cellular, and behavioral tools to further delve into the chemical senses of organisms in the future. 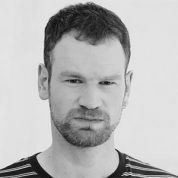 Mark Anthony Geraghty is an Andrew W. Mellon Postdoctoral Fellow at the Jackman Humanities Institute, at the University of Toronto. During 2016-2017, he was a James F. & Anne F. Rothenberg Postdoctoral Research Fellow at the Mahindra Humanities Center, Harvard University. He received his PhD in anthropology in 2016, together with the award for best doctoral dissertation throughout the Division of the Social Sciences at the University of Chicago. He held doctoral research fellow positions at the Max Planck Institute for Religious and Ethnic Diversity and at the W. E. B. Du Bois Institute for African and African American Research at Harvard University. He received his bachelor’s degree in Anthropology from University College London. Born and raised in the Republic of Ireland he has long been interested in comparative colonial histories and postcolonial conflict. 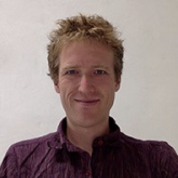 Mark’s research ethnographically investigates the aftermaths of colonialism, war, genocide and violent political transition, and is based, in part, on five years of fieldwork in the African Great Lakes Region. His first book manuscript, Spectres of the New Rwanda, examines the Rwandan state’s on-going campaign against “genocide ideology,” which is prohibited in law as “thoughts” of ethnic hatred that threaten the recurrence of genocide. Though it appears as a utopian promise that installs a dystopian assumption about its citizens (i.e., that they are racist), the campaign against genocide ideology does suggest a new form of nation-building based on the attempt to effect a radical break with the bloodstained past. This book project has involved research in those institutions charged with eradicating genocide ideology, including Rwanda’s prisons, layperson-run genocide courts, military-run “re-education” camps, and state-run genocide commemoration events. Mark has been concurrently working on a second book project which offers a critique of the interdisciplinary literatures on “transitional justice,” based upon ethnographic research generated from attending over 150 hearings of Rwanda’s Gacaca Courts. These specialized genocide tribunals, which were in operation between 2002 and 2012, authorized ordinary person without legal training to try and sentence their own neighbors with up to life in prison, passing judgment on 1.9 million cases at an official conviction rate of 86%. Mark’s teaching and writing bring social theoretical critique to bear on anthropology, history and African Studies, taking up the call to decolonize university curricula. He draws upon the resources of deconstruction, in particular, to critically examine Western knowledge production and its past and present roles in various imperial projects. 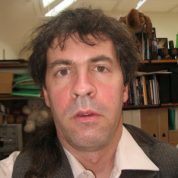 In the Department of Anthropology at the University of Toronto he teaches classes on violent aftermaths, language and injury, political anthropology and ethnographic methods. Munesh is currently a faculty at College of Applied Sciences (CAS), Oman and carries over sixteen years of experience in teaching and research. He holds the position of Head of Software Major and coordinates over the curriculum development of Concurrent programming course in all CAS colleges across Oman. His areas of interest lay in Parallel Computing, GPU-based multicore computing, Large Graph Algorithms, Deep Learning and Compiler Design. Prior, to this, he was an Assistant Professor in Computer Science at Graphic Era University, India. He also served as an IT faculty in the rank of Assistant Professor at APIIT, Staffordshire University (India Center). 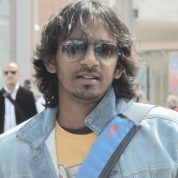 Munesh holds a PhD in Computer Science from Pacific Paher University with his thesis focus on the use of Parallel Computing in Fractal Image Processing. He obtained both his Master in Computer Applications (MCA) and Bachelor in Science (BSc) from New Delhi, India. On the research front he was a Co-Investigator in Oman Government TRC-funded Research grant that investigated the role of parallel machines in accelerating legacy SSM (Storm Surge Model) weather application. In addition to teaching Munesh has served under various capacities in promoting community-college participation in the form of workshops, seminars & other allied events. He has been a keynote/ guest speaker at various IT Hackathon events in the domain of Smart Cities, Machine Learning & Parallel Computing. Beyond academics, Munesh is a travel enthusiast and has traveled across the length and breadth of the Himalayas. 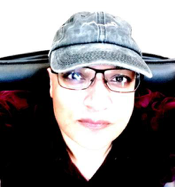 Munesh research spans three broad domains related to parallel computing, image processing, and large graph algorithms. The primary focus of all his work pertains to accelerating applications using massively parallel machines. He has worked on the speed-up of diverse applications in the field of chartering drone flight route, fractal image compression, and weather modeling to name the few. Fractal image compression has been one such process which is not amenable for parallel processing because of the high level data-dependence when scouting for self-similarity within an image. His research on using dynamically pipelined GPUs to effectively partition the fractal images has been critically acknowledged. He has also written on the role of Artificial Intelligence and Cloud Computing in modern day economies. These technologies have greatly reduced the gestation period for setting up companies but at the same time exposing these firms to increased cyber risk. The prime agenda in his research work is to harness the phenomenal computing power of the multicores to solve time critical problems that otherwise would have taken days and weeks to execute. 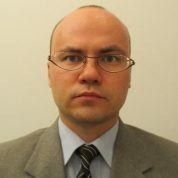 His research work has relevance in domains of Big data, large graph processing, deep learning and computer vision. His initial research forays were in the field of compiler optimizations for embedded media processors. Here he proposed register re-design for enhanced compilation of streaming media. Of late Munesh has shifted his focus on the machine (deep) learning arena, and is quite inquisitive about machine intelligence and the Man-computer symbiotic relationship. He intends to use his parallel skills to simulate neural networks more akin to the human way and understand the basic fabric of intelligence forward-and-store process. Natalia Zaretskaya is a Postdoctoral Researcher at the Institute of Psychology of the University of Graz, Austria. She conducts research and teaches several bachelor-level courses in psychology. 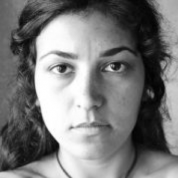 Before moving to Graz she worked as a Postdoctoral Fellow at the Athinoula A. Martinos Center for Biomedical Imaging of the Massachusetts General Hospital/Harvard Medical School in Boston, and at the Werner Reichard Center for Integrative Neuroscience of the University of Tuebingen, Germany. She conducted research on visual and cognitive neuroscience as well as on the possibilities and limits of imaging the human brain activity. Natalia received her Ph.D. in Neuroscience at the University of Tuebingen, Germany and a diploma in Psychology from the Russian State University for the Humanities in Moscow. Natalia also holds an MA degree in Psychological Counselling. Natalia’s research focuses on the neural mechanisms of conscious visual experience and their interaction with other aspects of cognition, such as Gestalt perception and attention. To study these processes she uses special types of visual illusions called bistable (or “ambiguous”) stimuli. Such stimuli contain ambiguous visual information with two possible perceptual interpretations. When an observer looks at them, his or her subjective impression to switches between the two interpretations, although nothing changes on the screen. Bistable stimuli thus allow dissociating physical stimulation from purely subjective, conscious visual impressions and represent a great tool for studying the properties and neural bases of the content of consciousness. In her research, Natalia combines ambiguous stimuli with a range of modern cognitive neuroscience methods, primarily functional Magnetic Resonance Imaging (fMRI), and electroencephalography (EEG), as well as with non-invasive brain stimulation. She uses fMRI and EEG to detect brain activity related to changing subjective content. She then applies TMS to test how manipulating brain activity affects the subjective impression of the ambiguous stimuli. More recently, Natalia has also become interested in the emerging possibility of high-resolution fMRI at ultrahigh magnetic field and its potential to provide new insights into the neural mechanism of higher-level vision at a fine spatial scale. She is also interested in the methodological aspects of the structural and functional high-resolution MRI. Finally, since conscious visual perception and attention are closely related, together with collaborators at the University of Tubingen she is currently exploring how the perception of ambiguous stimuli changes in patients with attention disorders. Dr. Polina Ermolaeva is an Associate Professor at the Department of Sociology of Kazan Federal University. 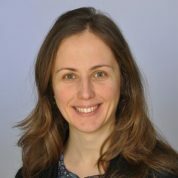 She also currently serves as Leading Research Fellow at the Academy of Sciences of the Republic of Tatarstan, Russia; an Associate Research Fellow for the project ‘Soviet Climate Science and its Intellectual Legacies’ (2017-2020) and an Associate Member of Urban Initiative both led by the School of Geography, Earth and Environmental Sciences, University of Birmingham. Previously she served as Visiting Researcher at the University of Birmingham (2014), Australian National University (2013), Colorado State University (2008). Polina led over 50 global projects for the modern-day challenges of sustainability, climate change, societal transformations, stakeholder engagement, transportation and mobility, social policy for such organizations as UBER, the World Bank Foundation, Open Society Foundation, British Petroleum, Fulbright, IREX, Russian Scientific Foundation and others. She has taught a broad array of courses at both the undergraduate level (Environmental Sociology, Urban Sociology, General Sociology) and the postgraduate level (Data Analysis with SPSS, Social Statistics), in large and small classes, to both English and Russian speaking students. She has published more than 80 publications, including 4 books, 30 peer-reviewed articles. 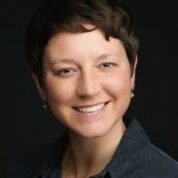 Polina’s research interests center on urban sustainability, societal transformations research, climate research, environmental governance, co-designing, digital society. Her current research is closely aligned to issues around urban sustainability and city-scale transformative change. She is currently a principle investigator on a project analyzing Russian cities’ structural socio-environmental transformations in the technological, institutional and political sphere in regard to international standards of ‘sustainable’ cities. 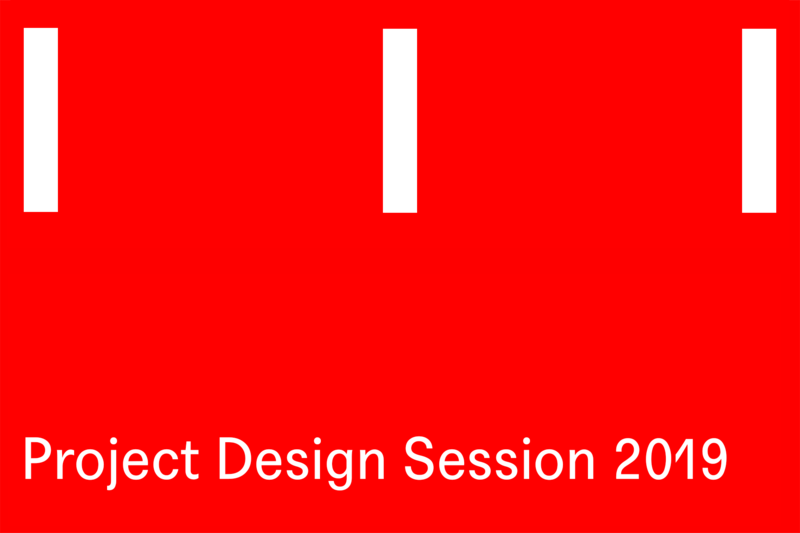 Drawing on a range of perspectives such as green urbanism, sustainability transitions, STS, circular economy, urban metabolism, citizens-centric design Polina explores contemporary examples from Russia and locate them in international contexts. The results of the project is in the development of an integrated interdisciplinary model for assessing the degree of transition of Russian megacities to the standards of a ‘sustainable’ city. The ideological origins of the project arise from her study on urban metabolism that explored the mutual transformations of social, environmental and technological change and the development of the quantified metabolic model of the material flow in the city of Kazan, Russia as the output. The results are framed in the concept of city as a ‘socio-bio-technical system’ as an interdisciplinary theoretical instrument for analysis of urban open systems of nonlinear relations and the interaction of technical, natural and social components as the processes of metabolic transformations. The other area of Polina’s interest is the environmental governance and citizen-centric research. She conducted the social and environmental mapping of the city via employment of GIS, sociological methods and artificial neuron network analysis. The created social and environmental maps of the city of Kazan were different from the administrative urban zoning in a way that they were based on citizens` perception of the environmental risks and spatial heterogeneity. 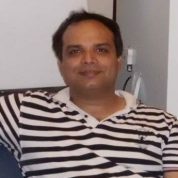 Samiullah Paracha earned his PhD in Computer Science from David Goldman Informatics Centre, Faculty of Technology of the University of Sunderland in UK. At present, he is working as a researcher at the same university. He served, as a research consultant and research fellow, at the United Nations’ think-tank called Institute on Computing & Society, United Nations University (UNU-CS) in Macau. Prior to joining United Nations, Samiullah worked, as an Assistant Professor, at Graduate School of Information Technology, Kobe Institute of Computing in Japan. He has amassed over 18 years of experience in teaching, research, programme management, capacity-building and policy development, whilst working with the IOs, NGOs, governments and eminent universities in Europe, Asia & Africa. His scholarly work, in peer-reviewed literature, include United Nations’ policy reports, book chapters, journal articles and conference papers accompanied by Best Research Paper Awards (IEEE, IEEJ, IIER), Gold Medals (IIER), First Prize Paper Awards (IEEE) and Teacher Appreciation Awards (BoE) and a Letter of Appreciation from the Embassy of Afghanistan in Tokyo. 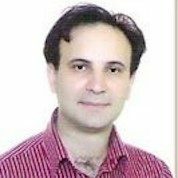 Samiullah’s research interest is in Free Will & Consciousness – the ongoing work at SAS, University of Tyumen. Contrary to intelligence or autonomy, Free Will has received little attention from the computer scientists. He was introduced to the notion of Free Will during his PhD work on creating a model of Autonomous Virtual Agents— an artificial intelligence domain. Despite his passion, Samiullah failed to understand it, mainly due to the confusing nature of the literature on Free Will at that time. Instead, he heavily relied on the emotional theories presented by OCC, Scherer and Hall to develop some kind of AI mechanisms in order to generate appropriate emotions that triggered adequate agent actions. Now, that he has stumbled upon the SAS’s Work on Free Will, Samiullah cannot resist! He sincerely believes that joining Free Will Research Team at SAS, University of Tyumen will help him improve his understanding of Free Will from artificial intelligence perspectives. 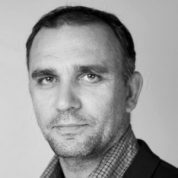 Dr. Sergey Shityakov is a Senior Researcher and the Head of Virtual Screen Lab at Würzburg University Hospital, Institute of Anesthesia and Critical Care, Würzburg University, Germany. Before that, he served as an Adjunct Professor in the Department of Human Morphology, Novgorod State University, Russia and as a Clinical Researcher in the Department of Pharmacy and Biomedicine, Mario Negri Institute for Pharmacological Research, Italy. Dr. Shityakov received his M.D. degree in internal medicine and neurology from the School of Medicine, Novgorod State University, Russia, and his Ph.D./D.Sc. degrees in biomedicine and neuroscience from Würzburg University, Germany. Dr. Shityakov is a very experienced neuroscientist and educator. He has published more than 50 original research papers in highest impact-factor journals, including Nature and Cerebral Cortex, in the fields of behavioral and cognitive neuroscience, artificial intelligence, and integrative bioinformatics and biomedicine. Dr. Shityakov’s research is mainly focused on various neurological and neuropathological aspects and phenomena, comprising the development of central nervous system, its morphology (blood-brain barrier), and psychophysiological and behavioral conditions in humans in health and disease. His work is also dedicated to the mathematical modeling and simulations of molecular mechanisms of brain functions, using artificial intelligence and machine learning algorithms. Some aspects of this work can be linked to the brain/mind-machine interface to investigate the influence of augmented virtual reality on the impaired brain function. Dr. Shityakov is actively engaged in the development of novel approaches to be applied in social neuroscience and biomedicine. These techniques can provide a better understanding of the confluence of neural and social processes based on a variety of neurobiological techniques, including magnetic resonance imaging (MRI), positron emission tomography (PET), electroencephalography (EEG), single-cell recording, and studies of focal brain lesions (stroke and traumatic brain injury) in patients. Additionally, Dr. Shitykov is also involved in the design and implementation of integrative algorithms that focus on “big data” optimization (genetic algorithms) and processing for biosocial sciences. These statistical approaches have used data mining to search for patterns of existing data. Some of his research articles in this field had focused on creating new and specific gene ontologies. Dr. Shityakov is also interested in molecular anthropology as a field of anthropology in which molecular analysis is used to determine evolutionary links between ancient and modern human populations, as well as between contemporary species. 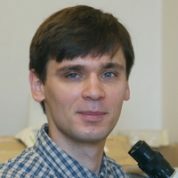 Currently, Dr. Shityakov is working on various national and international projects in the fields of human population genetics and genomics, social neuroscience and psychophysiology to establish the relationship between mental (psyche) and physical (physiological) processes as the interaction between mind and body. Zulfiqar Ali Memon is Professor at the Computer Science Department of the National University of Computer and Emerging Sciences (NUCES-FAST), Karachi, Pakistan. 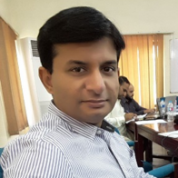 Before this as an Associate Professor at Sukkur IBA University, Sukkur, Pakistan, he worked on building up a Cyber Physical System for Stroke Detection. He co-taught Behavioral and Organizational Dynamics to undergraduate students, as a visiting scholar at the Vrije University, Amsterdam (Behavioural Informatics Group). Zulfiqar received his PhD in Artificial Intelligence from the Vrije University, Amsterdam, and his Masters with Distributed Systems (major) and Bachelor degree from University of Sindh, Jamshoro in Pakistan. Zulfiqar is a trained cricketer. He has interest in poetry and deep motivational thoughts. Zulfiqar's doctoral research focused on to investigate how ambient agents can be equipped with knowledge about the dynamics of human functioning, and to explore the applicability of such ambient agents in a variety of application areas. 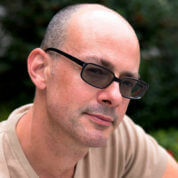 He developed human-aware ambient agent models integrated with the ability to reason about the behavior of humans, involving cognitive, affective and interaction of both cognitive and affective aspects of human’s functioning; those specifically include reasoning, emotion generation and reading, emotion contagion, believing, desiring, feeling, decision making, and attention. To bring this goal to realization, he argues that devices needs to be built possessing knowledge about humans, devices that are able to perform a more in-depth analysis of the human's functioning. For this, we need the assistance of human-directed disciplines such as cognitive science, psychology, neuroscience and biomedical sciences that develop models for many different aspects of human’s functioning. If such models of human processes are represented in a formal and computational format, and incorporated in these devices, then such devices can be made more user-friendly and more responsive to humans. The integration of these models within the AmI applications is becoming more widely known as human-aware ambient agent modeling. In his thesis, the aspect that has been taken as a point of departure to model ambient agents is mindreading or Theory of Mind (ToM): an ability to attribute mental states such as, beliefs, intentions, desires, pretending, knowledge, emotion etc to others and to understand that those states may be similar or different from one's own. Throughout his thesis, he developed models involving cognitive and affective aspects and the interaction between these two states of humans. These models have been integrated into ambient agent models in order to bring on human-awareness for AmI applications. He has especially engaged with the Situational Leadership Theory by Paul Hersey and Ken Blanchard. He is also interested, particularly in Interoperability of Heterogeneous IoT Platforms. Zulfiqar is also interested in enhancing the current softwares for e-learning by equipping them with the features of smart multi-agent based voice-enabled AI based virtual assistant. Currently, Zulfiqar is developing a project on Blockchain based auditable framework for Inter-Country Trading.